Kaspersky Lab has filed a complaint against Apple with the Russian Federal Anti-Monopoly Service, labelling the iPhone maker a 'monopolist'. The security firm had created an app called Safe Kids, whose goal was to help parents monitor what their kids do on their smartphones and similar connected devices that run on the iOS platform. Apple said the app violates the app store's policies because of the way it uses configuration profiles. It was either to remove the feature, or remove the app altogether. The tricky part is – the app can't function without that feature. Or so Kaspersky claims. Soon after that, Apple announced the Screen Time feature in iOS 12, which basically does the same thing (helps parents monitor their kids' online behaviour), and Kaspersky Lab believes this is no mere coincidence. 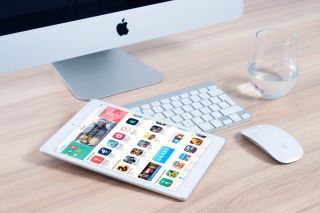 In a blog post explaining its stance, Kaspersky Lab says that it is not alone and that many other developers, building all kinds of apps, have found themselves in similar position against Apple - with Spotify and AdGuard named as key examples. “Development and progress are possible only amid healthy competition — that is, where companies that create similar products must come up with something to draw users to their idea,” the company wrote in the blog post. The news comes soon after a US senator revealed plans to break up Apple saying you can't own the store and sell your own goods in it, next to everyone else's.